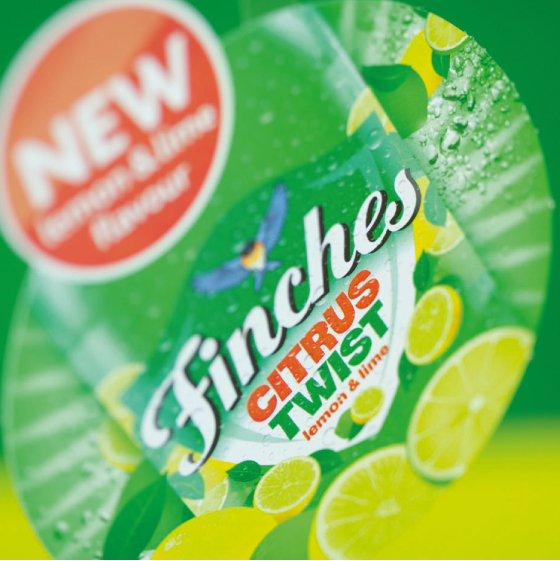 The Finches brand has completed a number of successful line extensions over the last two years and approached us to help develop their latest addition, Citrus Twist. 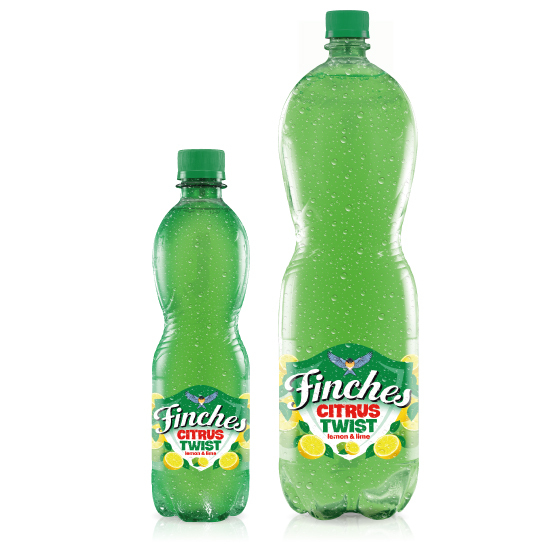 Similarly to Cola (dark brown liquid, red label, white text) lemon and lime soft drinks enjoy perhaps one of the most established flavour design conventions (green bottle, clear liquid, yellow, white and a splash of red). 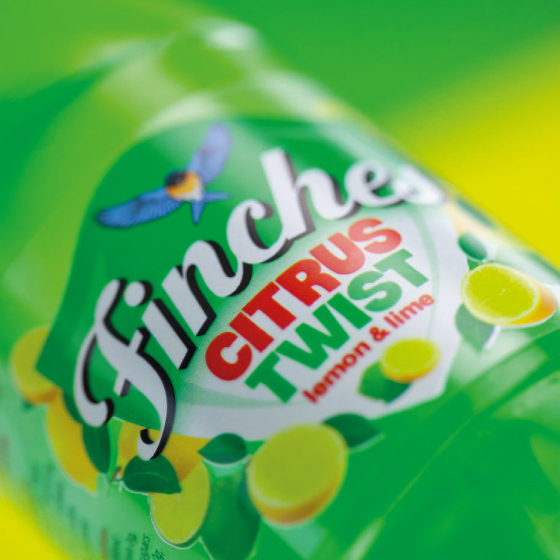 Our challenge therefore was to create and instant ‘lemon and lime’ connection while remaining true to the Finches look and feel. 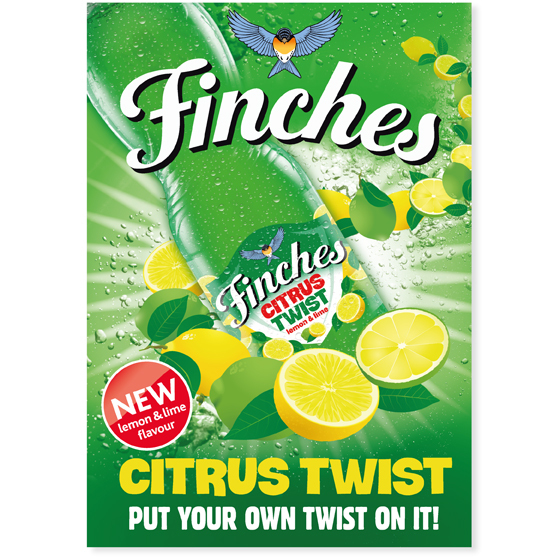 We also developed a distinctive fruit ‘twister’ POS suite inviting consumers to ‘put your own twist on it’.